Junior & Luana are a "husband & wife" acoustic duet that share a special chemistry in their music. Luana has been singing for over 20 years & Junior has been mastering his skills & amazing talent on the guitar for over 25 years. Covering a range of styles such as Blues, Soul, RnB & Rock, they are guaranteed to entertain every listening ear. They share unique harmonies & acoustic arrangements of songs from the great classics to the modern dance floor fillers. 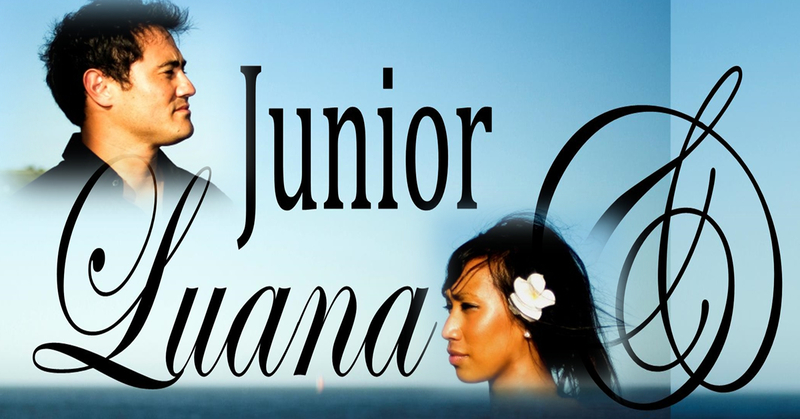 With awesome vocals & guitar skills, Junior & Luana draw experience from their Grass Roots of the Islands. Whether youre looking for a chilled & relaxing afternoon or a night of dancing, "Junior & Luana" have got the right sounds for you!